This isn’t going to be an altar to Passion of the Christ, instead the focus will be on what I believe to be the two main themes of Easter: sacrifice and new life (or resurrection). These films provide exploration of the theme of sacrifice, especially that which leads to new life for the self or another. Exploring movies that are not explicitly religious or even more broadly are not directly about Easter, yet contain themes that evoke that period can bring about deeper reflection on what it means to us. Filmmakers are often today’s best storytellers and when they tell stories about things that match up with what we are celebrating we should dive into the middle of those stories, allowing them to sweep us up. 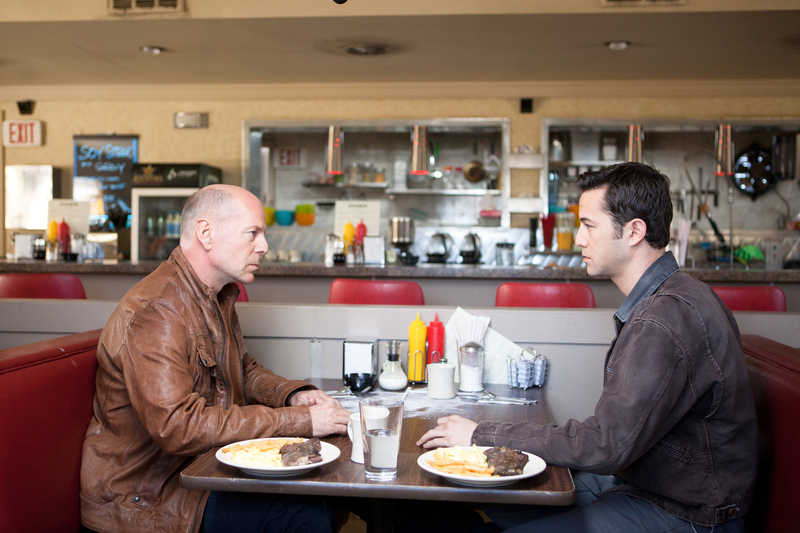 Focused on a dim near-future, Looper is about having to deal with choices made in the present, past, and future; where the self can literally come back to haunt you. It’s generally a sci-fi time travel picture from future Star Wars director Rian Johnson, but a character’s choice in the end perfectly matches this list’s theme. Gazing at a dark future, with grimmer prospects than the one’s currently slogged through, the character chooses to sacrifice, putting hope in love and in ending a cycle of violence. Although we don’t see if the sacrifice does indeed lead to new life, another character is resurrected in this action; there is no greater love than he who lays down his life for his friends. The Dardennes’ 2012 film focuses on a boy abandoned by his family and the relationship he makes with a woman who happened upon him at a moment in need. Cecile de France’s Samantha serves as a surrogate mother, taking on a boy whom she has no responsibility over and who doesn’t really seem to want her most of the time. Caring for a child is near-sacrificial in the way that a child takes precedence over the needs of a parent, but this sacrifice is often made in the loving embrace of a parent/child relationship. Samantha depicts a self-denial that is pure love, with Samantha opening her arms in a loving pursuit that can only be said to resemble the divine. 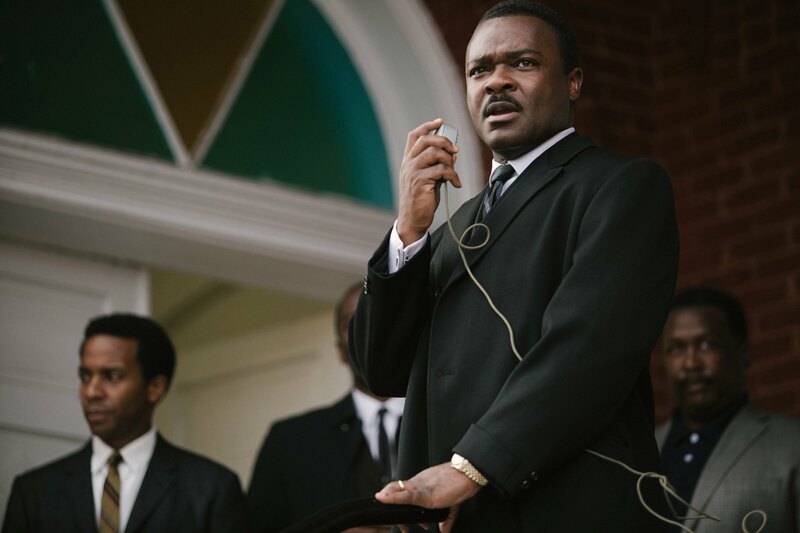 I talked about this a bit earlier this year, but Selma cuts deep into the questions about sacrifice from the one of the greatest figures to sacrifice their life for the greater good of their people and humanity. Selma shows Dr. King both at his greatest–with full-blooded speeches inspiring people and decrying injustice–and at his most doubtful–questioning the cost of the movement he has created, the toll it takes on his family and marriage, and whether he is taking the right steps at all. Sacrifice and freedom are measured and weigh heavily here, but it is the pursuit of new life in freedom that makes it worth it all. Standard warning that though these films may match up with certain themes of Easter, the characters depicted in these stories may not make choices in line with religious principles.